Chartis Property Casualty Company, as the name suggests, is not a health insurance company. Instead, Chartis is a property insurance company. However, they do offer emergency medical insurance as part of their travel insurance package, if that is what you are looking for. Enter your zip code below and compare multiple health insurance rates today! Before you get all excited about the Accident & Health category, the health insurance provided here is specifically for critical illness, not a general health insurance policy. As you can probably tell from the insurance types, Chartis sells insurance products to both businesses and individuals. Chartis does not say how long they have been in business on their website. What they do say is that they draw on over 90 years of experience, which is different from saying how long they have been selling insurance products. Despite this, Chartis is a well-established company with a strong financial rating of A with A.M. Best, although their long-term outlook is negative, mainly because AIG continues to owe money to the government because of their bailout. In total, you will find Chartis is available in 93 countries around the world! Chartis utilizes independent agents to sell their products. The downside to this is that they do not provide an agent-finding tool on their website to help you narrow down your search. In order to find an agent, you will need to contact the company, either by phone or through their contact form found on their website. Chartis is a company that is known for paying their claims quickly. If you have an insurance policy with Chartis, you might be disappointed to learn that you cannot file your claims online. To file a claim you have to call 888-760-9195. Chartis does not say whether they have a 24/7 claims center or whether you will have to leave a message if it is after hours. Your other option is to file your claim with the agent that sold you your Chartis policy. While they will be, more or less, acting as a middleman, if you aren’t comfortable dealing with someone you don’t know, this can make the process a lot easier for you. If you are interested in working at Chartis, you can find a career link on their website that will lead you directly to available positions with the company. Because they are a worldwide company, there are many different positions available with the company in a variety of locations. There are currently 500 jobs posted on their career website and you can search by position title, location or date posted. In addition, you can follow another link that will lead you to their opportunities worldwide. If you choose a position in another country, then your holiday time will be based on the country in which you are working. 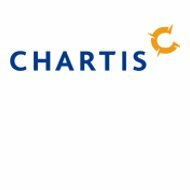 Chartis does not offer a quote tool on their website. However, there is the option of getting a life insurance quote on the AIG website, if this is a product that you are interested in buying. If you want health insurance, however, Chartis is not going to benefit you at all. That is because, as mentioned above, this is not a company that offers this type of insurance. If you are in the market for health insurance, you are going to want to start being getting quotes from multiple companies. Rather than visiting several health insurance websites to get these quotes, you can save yourself some time right now by getting multiple quotes with our free health insurance quote tool. You can start the process right now by entering your zip code below and compare health insurance quotes in a matter of minutes!